Manor Fisheries in Headcorn, Kent is a picturesque venue which helps Kent live up to the title of the “Garden of England”. The fishery is very well managed, with a lot of care and attention into the shaping of the landscape. This ensures that the pegs and paths around the lake are comfortable and easy to get around. 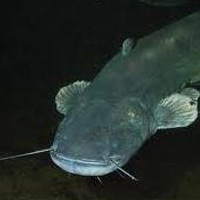 It also means that there are plenty of features to fish to and weeds are kept to a minimum. Lake 1 – Carp: with over 150 doubles which average at around 15lbs. The carp go up to 30lbs, but there are also specimen bream, perch and roach. Lake 2 – Carp and Catfish: The catfish in here go up to around 50lbs and average somewhere in the mid 20s. There are also plenty of double figure carp in here. 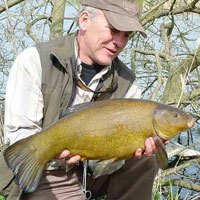 Lake 3 – Mixed: the pleasure lake that contains a range of different species which can be caught using match tactics. The fish go quite large in here, so make sure to use beefy gear if you want to get fish in your net and on the bank. The venue offers some accommodation apartments which can be used for longer stays, this also allows you to night fish on the specimen lakes. All fishing sessions must be booked beforehand. Get in contact with the venue to arrange a booking and pay the necessary deposits. Address: Love Lane, Headcorn, Kent, TN27 9HJ. The fishery can be found on Love Lane – a great road name.